1. Discover the goals of each team member and find a way to make those goals work for your business. As a manager of people and as the leader of a company, you must learn to see the entirety of each person and manage people on an individual basis. Yes, you need to hold people accountable to the policies that are well documented within your employee handbook, but you also need to know what is going on when enforcing these rules and policies. It’s important that you or your management team invest the time to meet with each team member to discover his or her goals, wants, and needs. If you are coaching a team and want to win consistently, you must understand the individual personalities and the strengths of each player and how these contribute to the overall team dynamic. Take a moment and think about one of the most consistently winning sports franchises in recent history – the NBA’s 6-time championship winning Chicago Bulls. 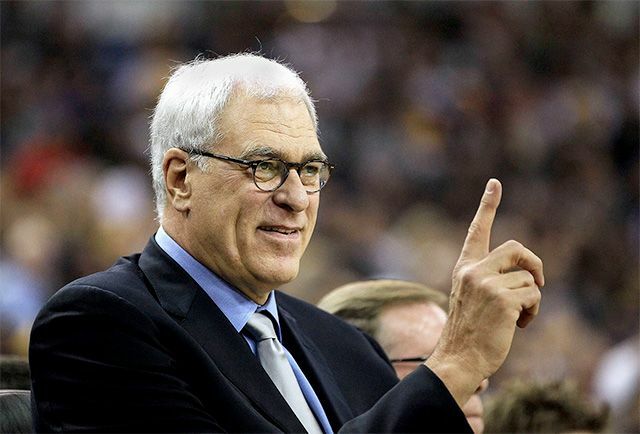 When Phil Jackson was coaching the Bulls to their six NBA championships, he was managing a different roster every year. At one point, he was coaching the NBA’s rebounding leader and the man that many thought to be the most un-coachable player in the NBA, Dennis Rodman. He also coached the NBA’s best and most competitive player, Michael Jordan, and one of the NBA’s greatest players of all time, Scottie Pippen. The beauty of what Jackson did was that he was able to win year after year, regardless of which personalities and personnel were on his team. 2. You must show that you genuinely believe in your team while holding them accountable for the achievement of high standards. The A-Players of the world want to be pushed and they want to be respected. A-Players love it when you share information with them about the state and the direction of the company. A-Players also actually love to produce great work and this desire is contagious. When one A-Player sees another A-Player delivering great work, he or she wants to produce great work as well. 3. Fire intentional under-performers as soon as possible. When you spot someone at your office who is intentionally doing a poor job, you must intervene immediately. Let the employee know that you are aware that they are choosing to underperform and they must correct their behavior immediately. Write them up and ask them what is going on and why they are choosing to behave this way. Then let them know that you believe in them, but if they choose to continue underperforming, they will be fired. It’s very important that you do not put up with poor performers. As a business coach, I know that when you keep poor performers around, you are going to have to invest a ton of your time into the training, coaching, and mentoring of them to the point that you will not have the time left in your schedule to invest in your top people. Keeping bottom feeders and poor performers around has a way of demotivating the A-Players on your team when they begin to notice that you seem too accepting of mediocrity. 4. Install a merit-based pay system to reward great performance and to penalize poor performance. Pay should be directly tied to performance. But in addition to rewarding people in their paycheck, try to catch people doing a good job so that you can reward your high achievers in front of the group. It’s very important for the emotional state of your business that you reward big wins within your office immediately, publicly, and with sincere enthusiasm. As a business coach, I have learned that this creates momentum when people see this cycle of high performance equaling both rewards and praise. Praise achievers as soon as possible by commending them in a meeting, buying them lunch, announcing their success to the entire team via a group voice mail, announcing it in a company memo and newsletter, giving them the “Employee of the Month Parking Spot”, or some other perk. It is vitally important that you love what you’re doing. As a business coach, We’ve seen many business owners who do not follow the principles that have been outlined throughout this post, and eventually they become a hostage of their own organization. Do business the way YOU want to do business, not the way that your customers or employees want to do it. You are going to spend an extraordinary amount of time with your business, so take care to develop a good relationship with it. Without developing goals for your five F’s (Faith, Family, Finances, Friendships, and Fitness), the rigors and challenges of operating and growing the business will be your only daily focus. “You’ve got to find what you love. And that is as true for your work as it is for your lovers. Your work is going to fill a large part of your life, and the only way to be truly satisfied is to do what you believe is great work. And the only way to do great work is to love what you do. If you haven’t found it yet, keep looking. Don’t settle. As with all matters of the heart, you’ll know when you find it. And, like any great relationship, it just gets better and better as the years roll on. So keep looking until you find it. Don’t settle. You are given one life to do great things, and that is not isolated to doing only great things in business. You are empowered to great things in each of your five F’s. Develop an incredible faith. Be the most healthy person possible so you can live long enough to reap the rewards of your labor. Spend time with family. Build relationships with genuine people. Create wealth in abundance. Growth in these areas not only moves you forward toward your goals, but it also enhances your balance and satisfaction. We’ve seen many business owners neglect one or more of these areas for too long and become unbalanced, discouraged, and dissatisfied with their business. There are certainly seasons where the focus will shift between each of the five F’s, but the important thing is to not lose sight of any of them entirely. The easiest way to do this is to remind yourself every day of each of your goals. I have learned as a business coach that through achievement and progress, you will find balance and satisfaction.